A MAN was allegedly assaulted by two gardai during during a protest over the Shell Corrib gas field in Co Mayo, a High Court jury has been told. 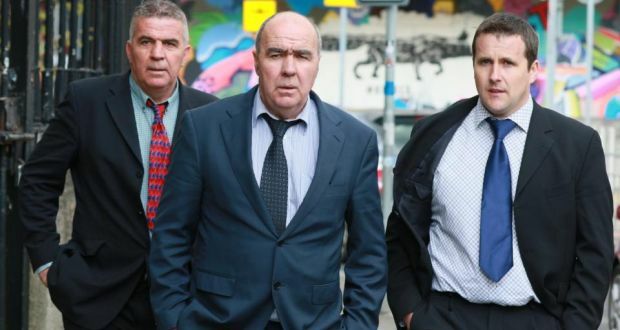 One officer punched the man in the face before another garda, who was the father of the first officer, struck him on the head in "unprovoked assaults", the court heard. The claims are denied. There was an “unexplained” and “mysterious” gap in a Garda video recording of the protest, Micheál P. O’Higgins SC added. A big spin is underway about “the biggest ever reshuffle of senior gardaí” by incoming Garda Commissioner, Noirin O’Sullivan with “nearly 100 senior officers being transferred and promoted” and the Irish Times editorialising about a “bold and brave new start”. So Village decided to have a look back at incidents of corruption, malfeasance, harassment and intimidation which have significantly compromised the reputation of the Irish police force; and to which she needs to direct herself. New documents lodged with the Companies Office confirm the increase in capital at Shell E&P Ireland Ltd to €1.28bn. The injection of €123m represents good news for the hundreds of Shell workers in Ireland as approximately €65m of the capital injection is being used to fund what Shell describe as "an important development for the Irish Shell Contributory Pension Fund". Shell to Sea have today sent in a submission to RTE as part of RTE's public consultation on the updating of their Public Service Statement . In the submission, Shell to Sea claimed that RTE had failed to inform the public in an honest and balanced manner on the Corrib Gas project. 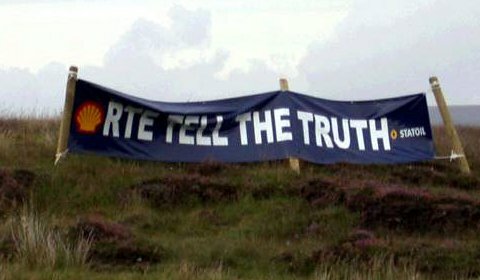 In the submission nine examples of RTE bias over the course of the more than decade long community campaign against the Corrib Gas project were highlighted.